Out of all the releases in the Bob Marley catalog, this previously unreleased live set is probably one of the most poignant and special releases: It was recorded on Sept. 23, 1980 in Pittsburgh–he would later pass away the following year. 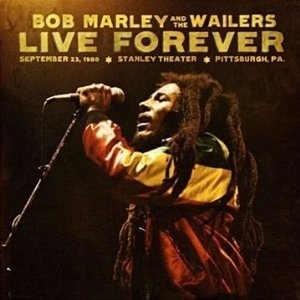 Performing during the Uprising tour, Marley and Wailers tore through then-new songs like “Could You Be Loved,” “Zion Train” and “Redemption Song” as well as familiar favorites such as “No Woman No Cry,” “Jamming,” “Exodus” and the final song of the set, “Get Up Stand Up”–thus is a well-rounded summation of his career up to that point. It is heartbreaking to know in hindsight that he would die in a few months–but no sign of anything wrong could be heard from this show because the performances still carry the verve and passion spirit that Marley’s music always evokes.